Has the hole at the back of RP10799 been reduced (perhaps to be low flow)? I replaced part; now tub &amp; shower have about 1/2 the flow rate -- tub takes 20 minutes to fill! Otherwise, diverter does direct flow. Does the old RP21598 have a higher flow rate? WHAT EXTENSION IS USED WITH THIS DIVERTER? THANK YOU. I replaced the diverter in my shower with this diverter and it works great, but now my hot water is dripping, likely unrelated as it's an old house. Can you tell me the part number to order for the hot water knob valve? What is the difference between the Danco Diverter (as well as another one I tried) and the Delta Diverter RP part number? I have had diverter replaced with two different parts that are supposed to fit Delta; however, my shower still leaks into the downstairs bath. If I purchase the delta diverter, will it quit leaking?! IS THIS DIVERTER USED IN THE 2600 SERIES THREE-HANDLE BATH VALVES? have older 3 handle delta tub shower faucet. Need to replace diverter as it only moves about 50% of water from tub spigot to showerhead. Rubber on current diverter is split. I can't supply you with model numbers. Current diverter is round on the diverter end. Found replacement diverter Danco 7s-10D (15607B) at local building center but diverter end is oval. I see models RP10799 and RP17730 on online searches. Can you advise please? Thanks! Thank you for your question. 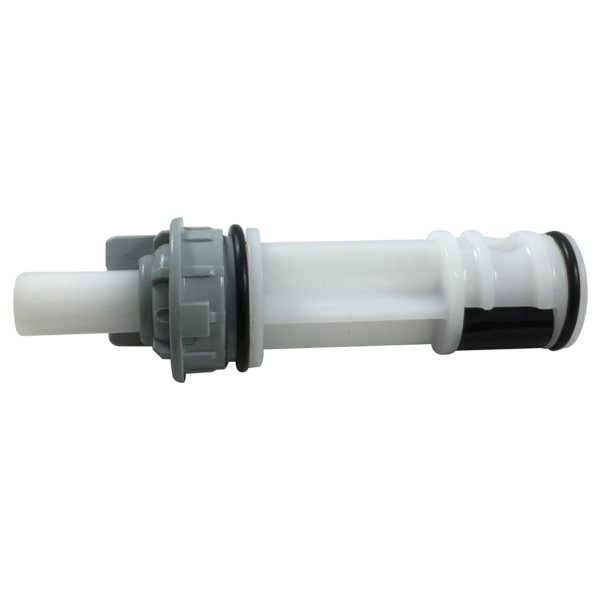 Delta Faucet model # RP10799 should be the part number you need to repair your diverter.